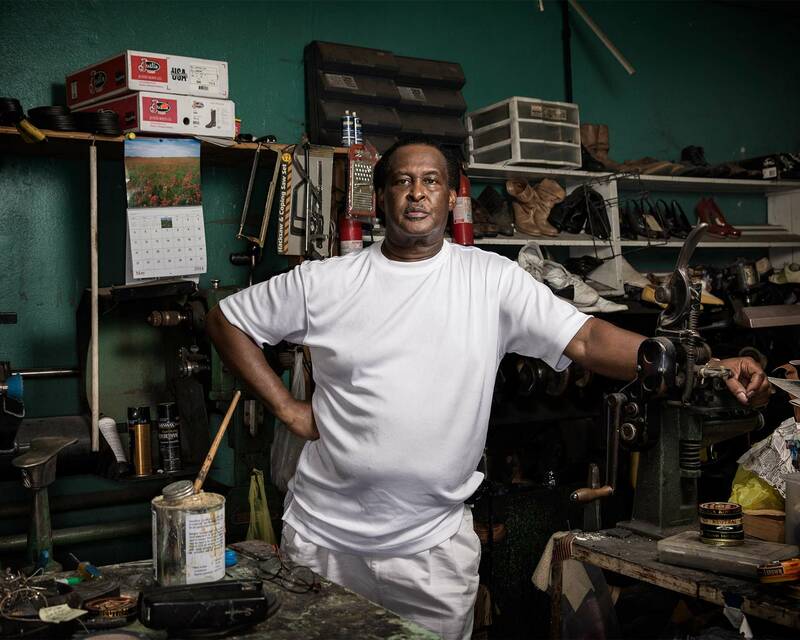 Dewitt Kimbley, 64, was born and raised in Greenwood, Miss., and runs a shoe repair business in the struggling downtown. Once known as the cotton capital of the United States, the town is now economically depressed as the cotton industry has moved elsewhere and the mechanization of farming has eliminated the need for farm laborers. "We ain't the capital of nothing no more," says Kimbley.